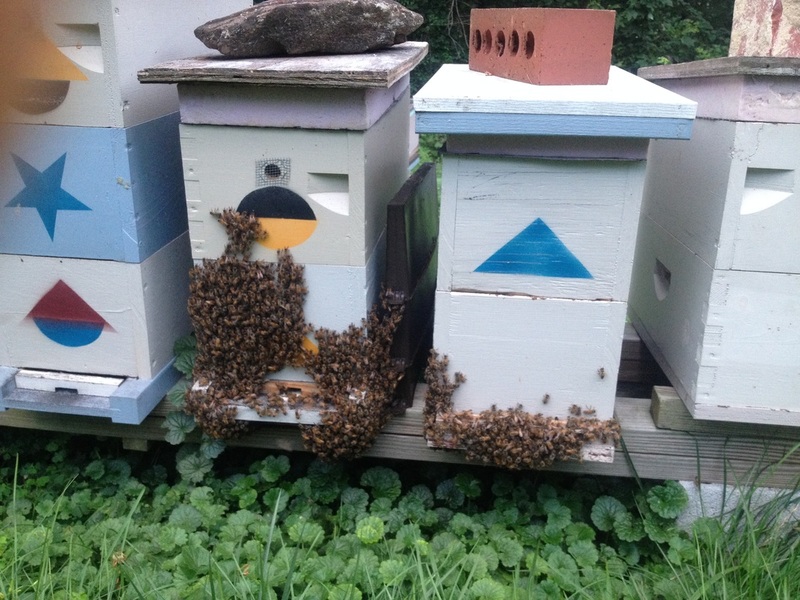 Nucleus colonies are a very important component of our beekeeping operation. Nucleus colonies, or Nucs, are functioning colonies with all the components of a normal colony only on a smaller scale. These nucs are valuable for many uses to the beekeeper. They are used to house extra queens for the apiary, to act as mating colonies for virgin queens to become established, as resource producers to support a queen rearing operation, to salvage colonies with problems, to reestablish colonies after losses, or to sell to other beekeepers. They can be created to alleviate swarming in established hives, and they are an excellent way for beekeepers to expand their colony numbers using their own bees. Nucs are a core part of our beekeeping operation. 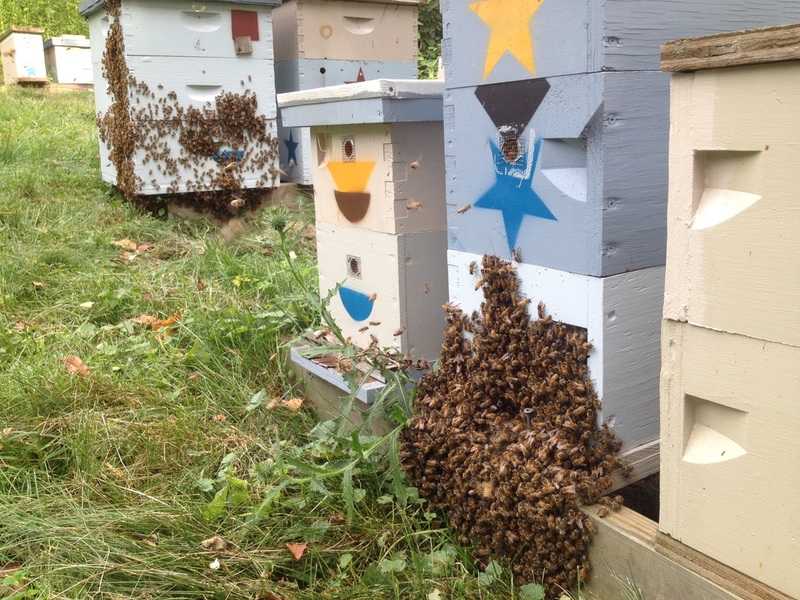 Year round, over half of our colonies are nucs. As outlined above, they are our extra queens, colonies to keep our beeyards stocked, and to support our expansion. We use them for mating hives, each one getting a virgin queen or queen cell that establishes a new colony after successful mating flights. 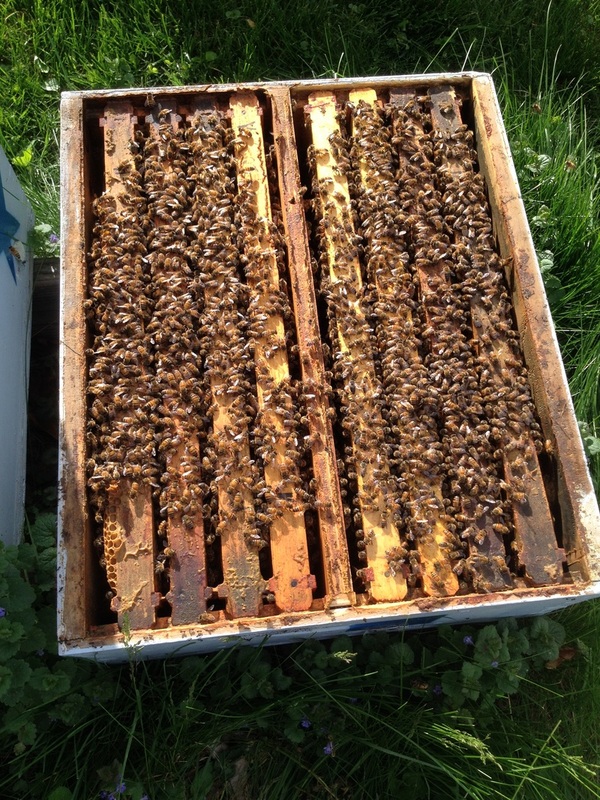 We also supply nucs to the local beekeeping community in the spring of every year. The pictures below show a variety of configurations for nucleus colonies. All of our colonies, including the nucs, are in medium depth boxes. Most are 5 frame in single, double, triple, or quadruple configurations. Some are 10 frame boxes that are divided in half. These smaller colonies nearly always winter more successfully than the larger production colonies, likely because of the younger queens and brood breaks. If you are interested in making nucs, there are many resources on the internet. Check out Michael Palmer's YouTube videos, especially those listed as The Sustainable Apiary.